I don't do New Year's Resolutions. The pressure to keep to a goal I haven't previously been able to accomplish is just too hard. 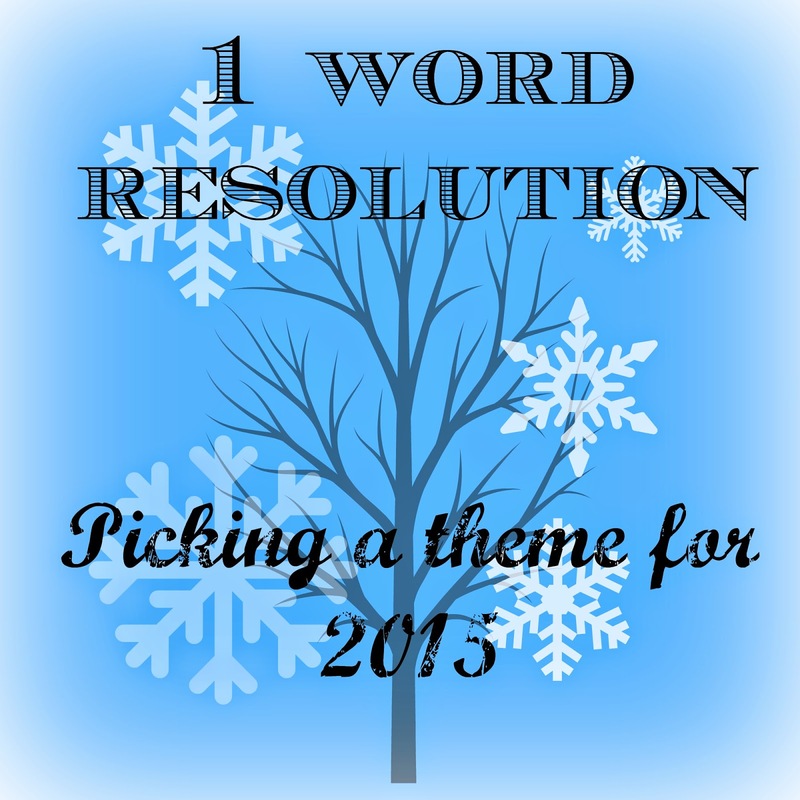 I saw this idea of picking a word for the year - a theme of sorts - and that really resonated with me. So that is now my way of doing it. This year's word was chosen entirely by God. I heard him whispering it almost immediately to me (not LITERALLY) as soon as I began to pray and ponder what it should be. I'm not the most trusting person. I trust myself and my spouse. That's about it. and to trust people more. Both will be difficult. I tend to do things myself because I'm not confident in others. Trusting the Lord more will be hard - even scary! I'm not sure what will come my way so I can achieve that goal. I'm looking forward to this year long journey. I'd also like to recap last year's word LOVE. I think I've done a good job on this. I've tried to be a better friend, spouse and parent - in the name of Love! So what is your 2015 Word? Do you know that old hymn? "Trust and obey...to be happy in Jesus." I hope your new year is filled with happiness as you trust more. I am not a fan of resolutions either and definitely prefer a word for the year. Trust can be hard but is freeing at the same time. I pray you have a blessed 2015!